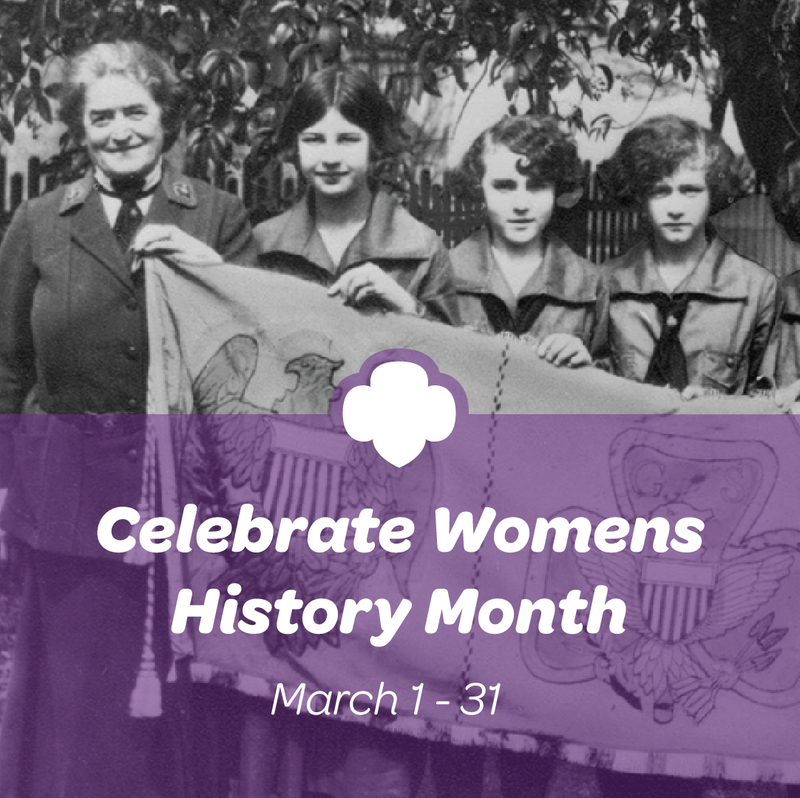 Celebrate Women’s History Month with Girl Scouts! « Girl Scouts of Gulfcoast Florida, Inc. Celebrate Women’s History Month with Girl Scouts! This of course brings to mind the fearless and visionary women who appear in history books—women like Amelia Earhart, Madam C.J. Walker, and naturally the great Juliette Gordon Low, who founded Girl Scouts over 100 years ago. Think about it: In 1912, long before American women could vote or attend most Ivy League colleges, Juliette knew girls were natural-born leaders, and dedicated her life to helping as many girls as possible reach their potential. Join us on social media this March as we celebrate those incredible trailblazers alongside many others who’ve carved their own paths in history. Just as importantly, though, we should be recognizing the drive and dedication of women and girls around us today—and even of ourselves! Before they were leading scientists, military leaders, journalists, athletes, politicians, artists, or writers, so many women were Girl Scouts themselves and celebrated Women’s History Month with their troops—just as you will be for the next few weeks. When you think about that, it’s easy to realize the potential that each and every one of us has to make an impact. That’s why we’ve created an exciting project to help today’s girls learn and celebrate the history of all the incredible women in their lives—including moms, grandmothers, troop leaders, and Girl Scout volunteers. With our new printable activity, girls get to take on the role of journalist, interviewing the women they admire with exciting questions and jotting down the answers as they go. Get your printable activity sheet now, and start the fun! Source: Celebrate Women’s History Month with Girl Scouts! ← Let’s Celebrate Girl Scout Week Like a G.I.R.L.